Jun 21 2017 12:08 PM Where are they now? Feb 23 2016 01:43 PM Duke in 2016? Feb 16 2016 05:41 PM Duke in 2016? Feb 16 2016 01:51 PM Duke in 2016? Feb 16 2016 12:32 PM Duke in 2016? Feb 16 2016 12:11 PM Duke in 2016? Feb 16 2016 11:27 AM Duke in 2016? Feb 16 2016 11:23 AM Duke in 2016? Feb 16 2016 11:02 AM Duke in 2016? 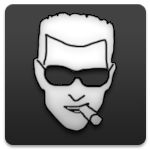 Jan 29 2016 12:49 PM 20th Anniversary of Duke Nukem 3D! May 21 2015 11:39 AM 3D Realms buying back Duke IP? Dec 22 2013 07:23 PM Mass Effect 3 is the greatest game ever made. Dec 22 2013 09:14 AM Mass Effect 3 is the greatest game ever made. Jun 05 2013 04:59 AM Former 3D Realms Employee speaks out!